Kick back on the phone at the Oval Office desk with Obama, he could do with an office assistant! 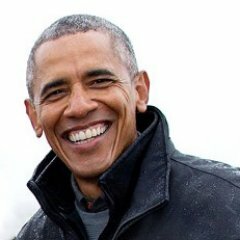 Barack Hussein Obama II is the first African-American to be elected President of the United States and is the forty-fourth president. He was elected president in 2008 and then re-elected in 2012.